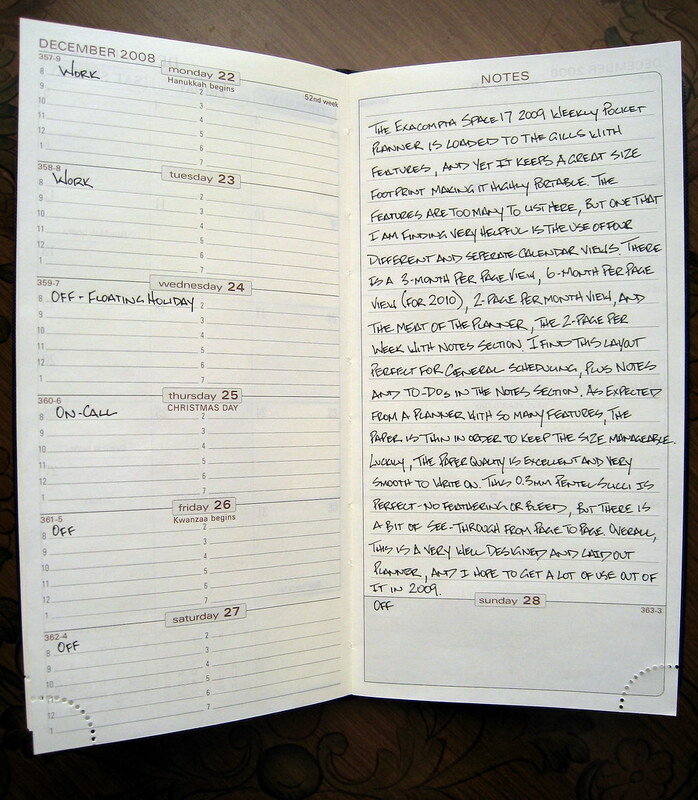 I received the Exacompta Space 17 Planner as a sample from Exaclair, Inc., the U.S. distributor for several popular brands of notebooks, including Clairefontaine, Rhodia, and Quo Vadis. Since I am not a heavy planner user, I tend to lean towards pocket sized planners every year for general scheduling and lists, and the Space 17 fits the bill for me. The first thing I noticed about the planner was how many features are packed into its 3 1/2" x 7" cover. There are holiday schedules, weights and measures, international phone codes, a time zone map, notes pages, and an address book. 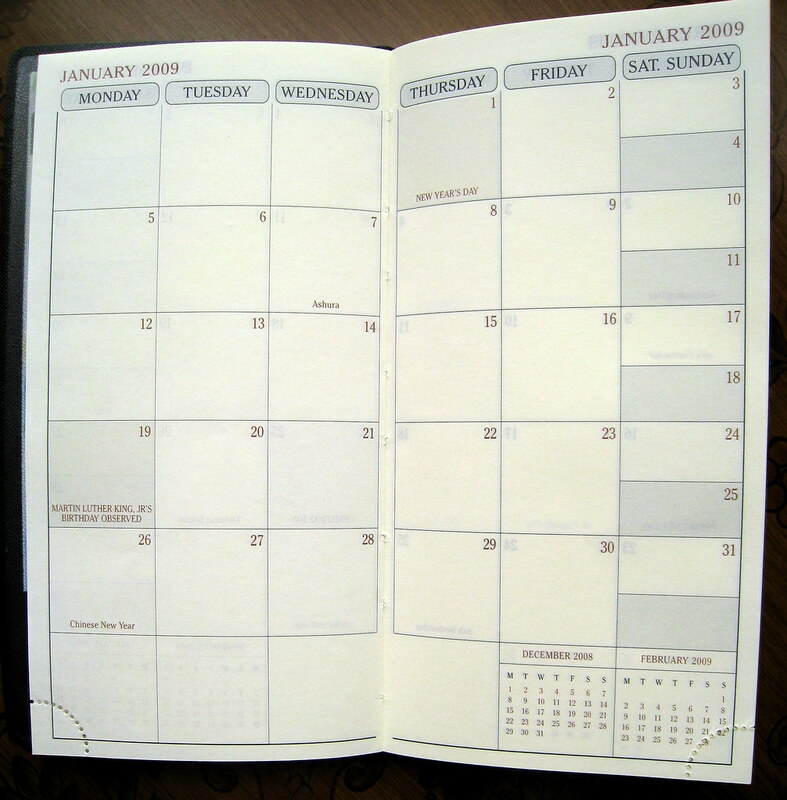 All of that, and I haven't even mentioned the meat of the planner, which is of course the calendars. And that is calendars, plural. By my count, there are four - 12 months weekly, 15 months monthly, plus annual and monthly planning calendars for 2009 and 2010. See - I told you it was loaded! The quality of the paper is very nice, and my 0.3mm Pentel Slicci is a perfect companion. No bleeding, no feathering, and a very smooth writing experience. There is a bit of see-through of the ink on the back of the page, but that is to be expected with the thinness of the paper. 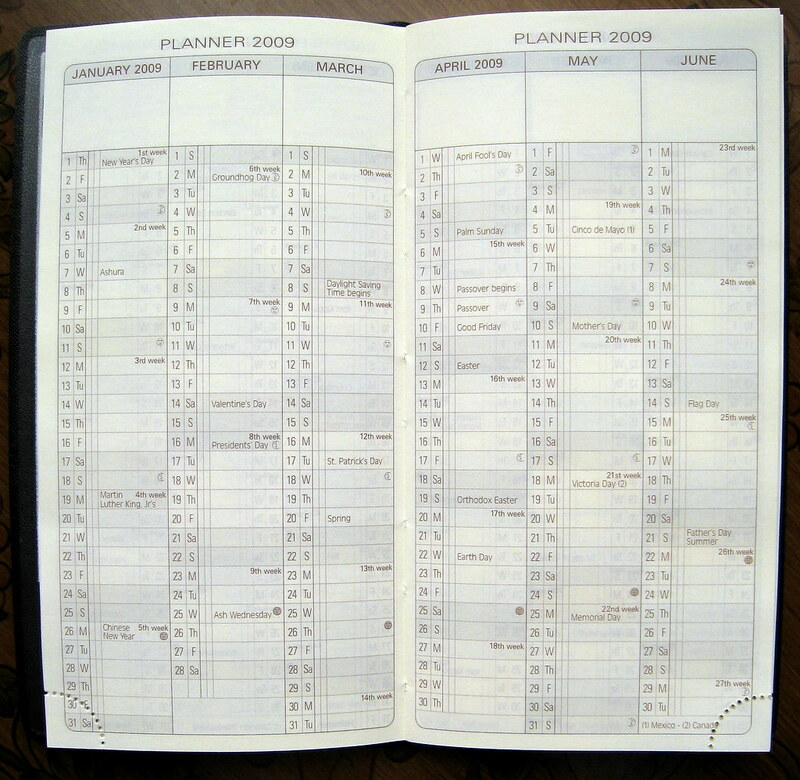 Overall, this planner suits my needs perfectly, and I plan on putting it through the ringer in 2009.